Know a Vegetable Grower Who’s Innovative and Stands Above the Rest? The search is on for a top-notch operation representing the spirit of excellence and innovation in vegetable production. Are you a vegetable grower representing the spirit of excellence in our industry? Do you know a grower operation that is innovative and stands above the rest? 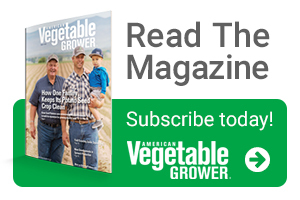 If you answered “yes” to either of those questions, we want to hear learn more about this candidate for American Vegetable GrowerTM magazine’s 16th annual Grower Achievement AwardSM! The 2016 Grower Achievement Award recipient, Bob Bender and Tasteful Selections in Arvin, CA, is a great example of the type of operation we’re looking for. Tasteful Selections has an extensive potato variety development program, is willing to search for new markets, and created a 200,000 square foot, state-of the-art processing facility — just a few of the reasons it won American Vegetable Grower’s Grower Achievement Award. Tasteful Selections follows in the footsteps of such past winners as Pero Family Farms, Sakata Farms, Torrey Farms, and many others who have demonstrated their leadership in the industry by tackling tough issues head on as well as implementing cutting-edge technology and striving to be good stewards of the land. So who will be this year’s winner? That is up to you. American Vegetable Growers’ Grower Achievement Award is designed to recognize innovative growers who demonstrate leadership through their involvement in industry activities. These growers strive to go above and beyond to grow quality vegetables, while supporting the industry at the same time. Other factors you would like us to consider. The deadline for nominations is June 2, 2017, so send in your nomination now! 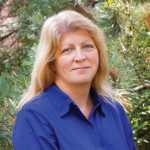 Rosemary Gordon is editor of American Vegetable Grower, a Meister Media Worldwide publication. See all author stories here.